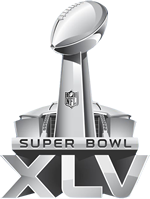 If you missed Superbowl XLV or have been away from the Interweb for the last 12 hours then you would have missed the great TV spots that appeared in the hundreds of ad breaks. Paramount has kindly released links to the trailers that they ran last night. I am planning on updating this page later on today with images and getting the trailers embeded - Until then I can only give you a set of links.